This student felt comfortable enough telling me that he felt bringing his friends to youth group because he thinks the chances are less likely we’ll judge hi friends. I don’t know the situation with the other church, it could be nothing at all or maybe they just had a hissy fit and left. Who knows. Every meeting is chance for us to improve our reputation. What will kids be saying after our youth meeting? What will kids be saying after your youth meeting? 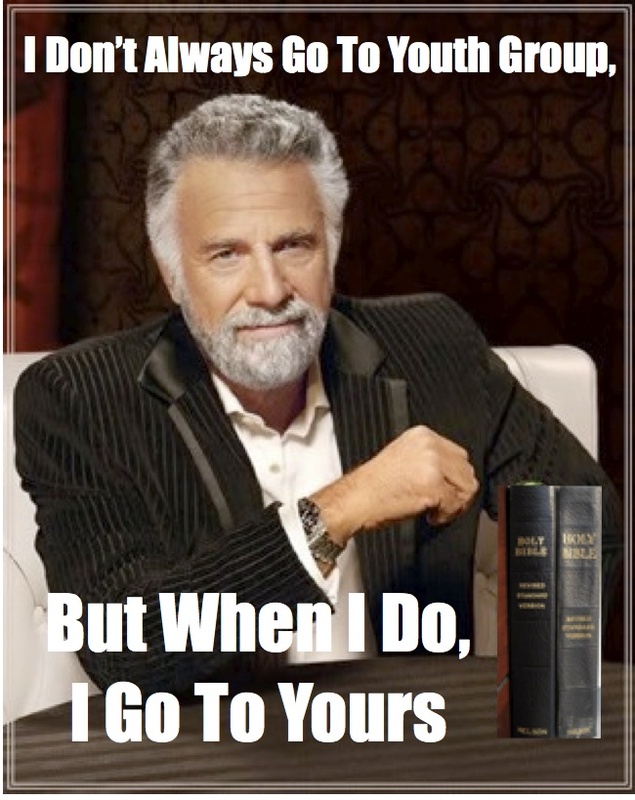 “@PaulTurnerToo: The Most Interesting Youth Group In The World http://t.co/EnASHNzA9w”// KILLER POST!